American Artists from the Russian Empire features nearly 70 paintings and sculptures by many of the best-known artists working in America in the postwar period, among them Louise Nevelson, Jules Olitsky, Mark Rothko, and Ben Shahn. The exhibit presents a fascinating foray into the work of artists of Russian descent and training who left the Russian Empire before the end of the 1930s. These artists all created a significant body of work in the United States, and the exhibition provides unique insights into the immeasurable contributions they made to the creation of American culture. The exhibition brings to San Diego a broad selection of works on loan from museums, galleries, and private collections in the United States. The installation also features works from the Museum’s permanent collection and some local loans from private collections by artists who emigrated to the U.S. from Russia, including Alexander Archipenko, Nicholai Fechin, Jacques Lipchitz, Joseph Solman, and Max Weber. The San Diego Museum of Art is proud to be the second and final U.S. museum to host this exhibition. The exhibition is organized by The Foundation for International Arts and Education, Bethesda, Maryland, and the State Russian Museum, St. Petersburg, Russia. It is generously funded by Morgan Stanley, Konstantin Grigorishin/Energy Standard Group, Severstal, Trust for Mutual Understanding, Anthony and Judy Evnin, Russkiy Mir Foundation, Gail and Mike Yanney/The Burlington Capital Group, and Slade Foundation. An indemnity has been granted by the Federal Council on the Arts and Humanities. 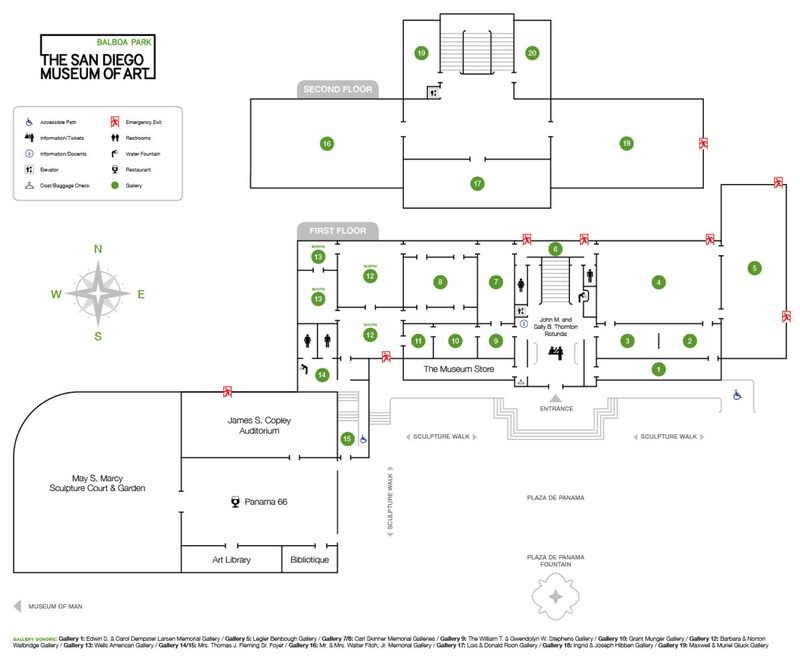 The local presentation of this exhibition is made possible by the generous support of the City of San Diego Commission for Arts and Culture, the County of San Diego Community Enhancement Program and members of The San Diego Museum of Art. American Artists from the Russian Empireis accompanied by a 288-page, illustrated catalogue published by the State Russian Museum in St. Petersburg, which is available at The Museum Store. Rothko, Mark. No. 7, 1957. Oil on canvas. 69 5/8 x 43 1/2 in. (176.9 x 110.5 cm.) Collection of Kate Rothko Prizel and Ilya Prizel.